We are a European Commission funded project that has taken on the challenge to transform the lifecycle of e-plastic materials into a more sustainable one. PolyCE consists of a consortium of 20 expert organisations that are working together to significantly reduce the use of virgin plastics and enhance the use of recycled plastics in new electronics applications. It is safe to say that 2018 was marked by global commitments in tackling plastics pollution. Early in 2018, the European Commission pledged to fundamentally change the way Europe recycles plastics by drawing together plastics producers, users, and recyclers (see EU Plastics Strategy). 2019 seems to be equally, if not more exciting when it comes to seeing global commitments and actions being championed for a more sustainable future. 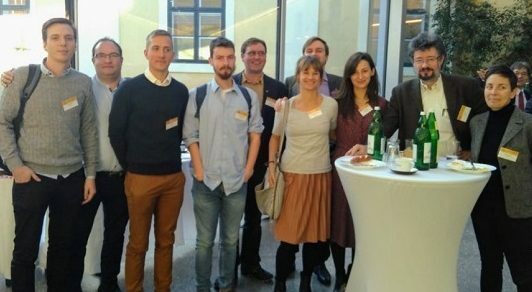 From 26–29 November 2018 nine partners of the PolyCE consortium participated at the Going Green CARE Innovation conference in Vienna, Austria. With a wide range of international experts from the industry (> 70%), academia, NGOs and policy makers, the conference gave valuable insights in how the different stakeholders approach the global challenges of circular economy, sustainability and climate change. You wish to learn more about our progress towards making recycled plastics mainstream? Then subscribe to our newsletter for news and updates on our activities. Interested in getting involved and contributing with your relevant expertise? Join our expert network and we will get in touch with you! The PolyCE project has received funding from the European Union‘s Horizon 2020 Research and Innovation Program under Grant Agreement number 730308. This website reflects the views only of the author, and the European Commission cannot be held responsible for any use which may be made of the information contained therein.